This rare gourmet from Australia, Finger Lime is a unique citrus specimen that produces lots of amazing fruit. 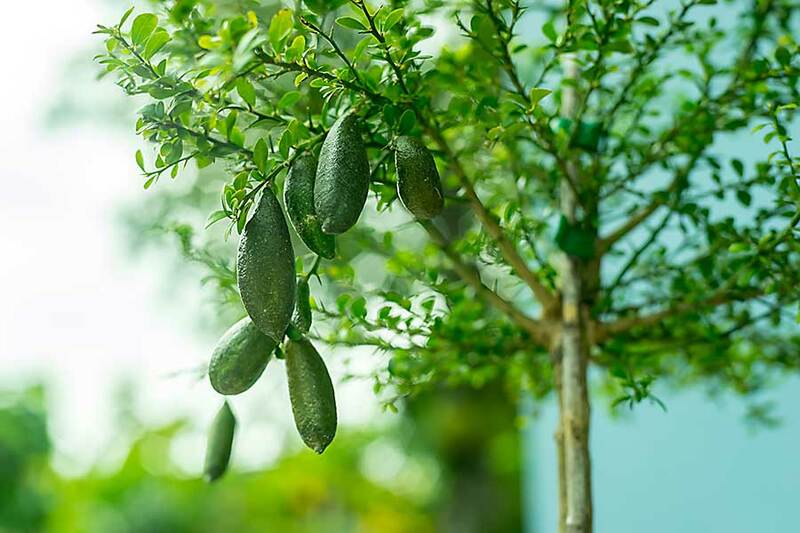 Small, dark green leaves cover the tree, surrounded by cucumber-shaped fruits that hang in large quantities. Long, slender limes are unmatched to any you’ve ever seen. Cut one and watch the pulp come out of the rough skin that protects it. Like small, spherical crystals, delicate bubbles inside are plump, juicy and filled with citrus goodness. Finger lime aroma can be described as a wonderful aroma of fresh citrus fruit with a hint of boiled apples. The taste is a slight bitterness. The flesh contains bubbles with juice that are similar to caviar. 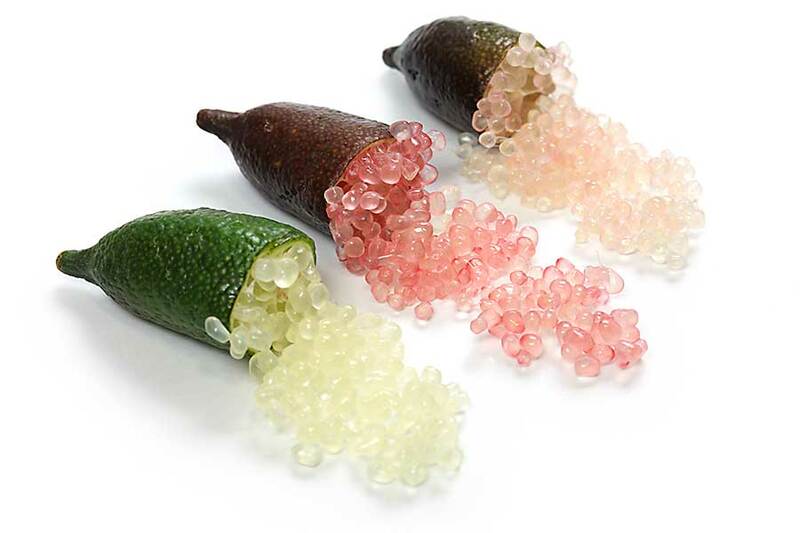 These caviar pearls make Finger Lime a popular garnish, and its taste gains recognition among chefs throughout Australia. Health Benefits – Sprinkling aroma of citrus peel fruits are rich in folic acid, potassium and vitamin E. Each fruit contains three times more vitamin C than for example in a mandarin. It contains a high level of vitamin E, which is one of the most important antioxidants in protecting human cells and preventing disease. Fruit caviar – There is a reason why Finger Lime is gaining popularity among restaurants. 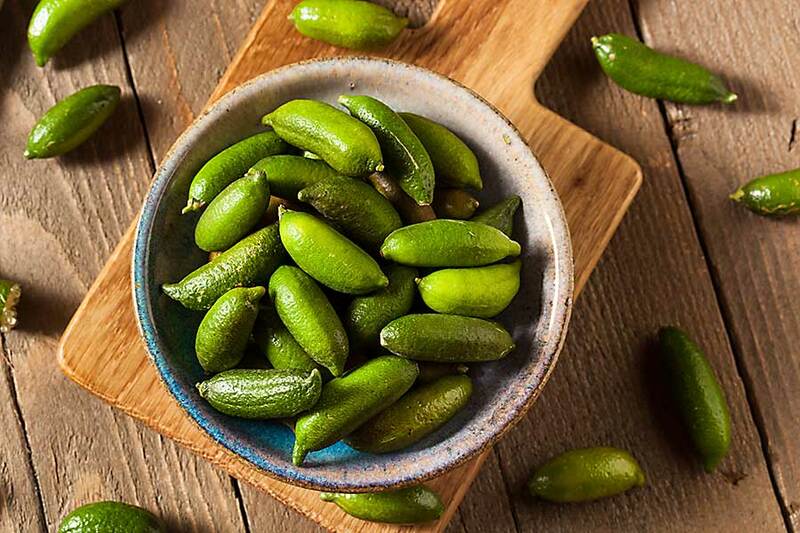 Experienced chefs recognize the versatility and unbelievable taste of these limes that add variety to the dishes. Strawberry, juicy beads contained in lime fingers have an amazing resemblance to the most famous delicacy in the world, with the exception that this caviar has an unmatched citrus flavour. This amazing experience works wonders for salads, desserts and almost anything that your interesting culinary mind can conjure up.